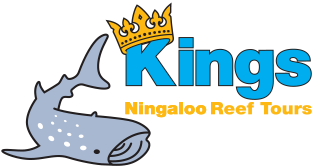 At Kings Ningaloo Reef Tours our tours on the Ningaloo Reef will be exciting, relaxing and above all memorable. We take that extra step in making sure your day is exactly that and guarantee our tours to be second to none. We have the largest and most comfortable vessel offering optimum safety standards and reliability. We believe your experience swimming in the crystal clear waters of the Ningaloo Coast World Heritage Area should be relaxing, memorable and above all, enjoyable. We take that extra step in making sure your day is exactly that, and guarantee our tours to be second to none, always. Kings caters for swimmers of all abilities , from your kids to your grandparents, our friendly and experienced crew are always on hand to assist and enhance your snorkelling adventure. Kings Ningaloo Reef Tours boast a 20-metre vessel, The Magellan, which is considered to be one of the biggest and best charter boats operating on the Ningaloo Reef via Exmouth. The Magellan is comfortable with a spacious shaded deck, low marlin board with stairs for entering and exiting the water, and environmentally friendly facilities. Not to mention that the skipper and owner have the best knowledge and years of experience to get you to the right spot for your chance to swim with whale sharks and other marine life in Exmouth. Come aboard the Magellan for one of our tours, for an experience never to be forgotten. Have just arrived back from a day with Kings Ningaloo Reef Tours and want to say what an awesome time we had. Being an almost snorkelling virgin the crew gave very clear instructions and made sure I was comfortable with every step and we all were able to swim with the whale sharks on the second last day of their season. Without their support this may not have happened for me. I would highly recommend this tour. This was an amazing trip! The crew were wonderful, friendly, efficient, professional and made our day extraordinary. I was very impressed by the efficiency of the operation, everything was super organised and easy to follow. Their extra touches are the icing on the cake. Swimming with two different whale sharks was an experience of a lifetime. Thank you for an awesome day. Very well organized trip. Top crew, very helpful and attentive. Everything included, care, breakfast, lunch, material in very good condition. Several snorkeling units so everyone could see the election shark. We also saw turtles, whales and dolphins. The snorkeling on the reef with the current was also great. Professional photos for free, which were sent the next day. We were with 4 children on board. These were also well looked after. Funny crew. Time was not an issue, the main thing we could enjoy the day. To recommend, a unique experience, a team at the top, thank you in particular to Alana for his help without whom the experience would not have been so great (even the less good swimmers can enjoy :-)) We had the chance to see ray manta, whale and whale shark The day was great, the little ones more the meal and the snacks (swim it digs), and the photos that are sent by email and which keeps nice memories Without hesitation choose this company for the good mood and the professionalism of the crew Thank you for this day of August 14.